Good early morning Polished world! I'm posting A LOT this week! I think I have at least three more posts coming. Well, when press releases come out, I can't hold them back and hide them from you guys! Especially when they contain such pretty polishes!!! 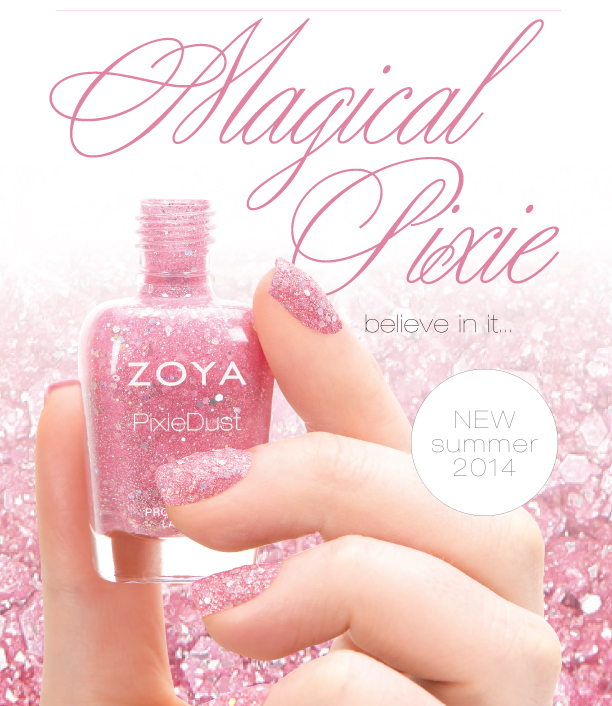 I'm happy to introduce this Summer's Magical Pixie collection by Zoya! 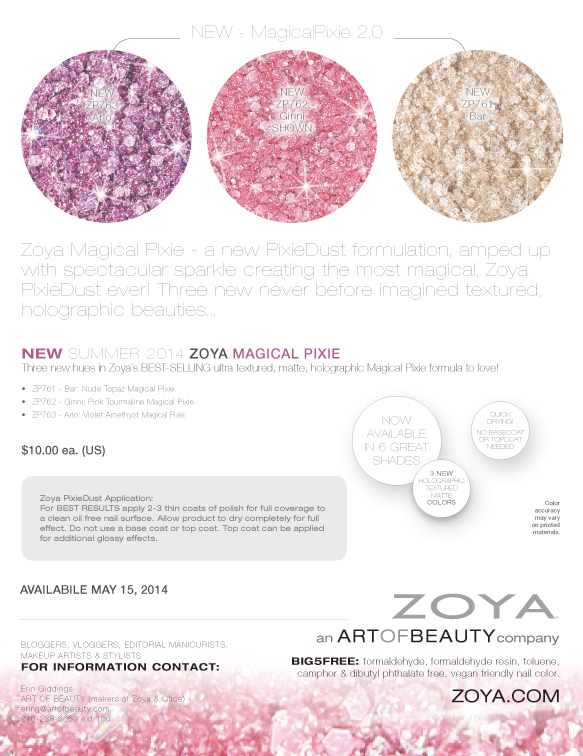 This collection will contain three Magical Pixies, the chunkier PixieDust polishes with the holo glitter. I loved the first Magical Pixies, so I'm rather excited about these! Let's take a look! 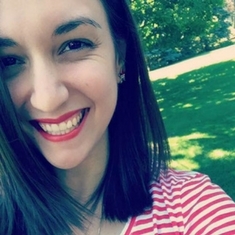 Click the images to make them bigger! That purple!!! All three will retail for $10 and will be available for pre-order today, April 17th!